Two hospitals in Anambra (named withheld) have detained seven sickle cell anemia patients over inability to pay high hospital bills. National Coordinator of People Living with Sickle Cell Disorder (PLSD), Mrs Aisha Edward posted this on Thursday during a press briefing in Nanka, Orumba North local government area of ​​Anambra State. 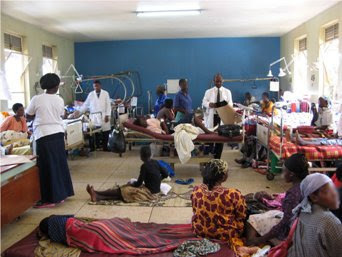 The group condemned the detention, describing it as illegal, inhumane and very wicked of the hospital management. She said, "People have taken a long time, and we do not tolerate this latest discovery. "I visited a hospital here in Aguata area to check on one of our members who had incurred it. Onitsha has been described as one of the best places to stay in Anambra. These are just the ones we know, and maybe many of our members are still being held in other hospitals. " Mrs Edward said that she was more pained by the fact that the hospitals were mission hospitals. "The church has thus been infiltrated by corrupt minded people who now use people's health condition to defraud other people, and we will not let this happen because of the church, not judiciary is the last hope of the common man." It has been charged with N1.2million for her treatment. In a wait for a philanthropist, "The patient would be the hero of the hospital forever , is it? " It contends that the hospital environment is not the best place to stay. For six months, during the longest serving of them, a girl has been kept in detention for one year and four months, and has been given strict warning to try escaping as the consequences would be dire.